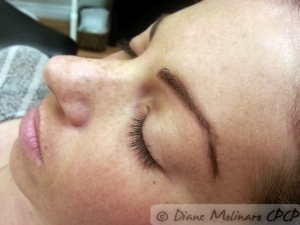 Eyelash extensions make the eyes come alive! 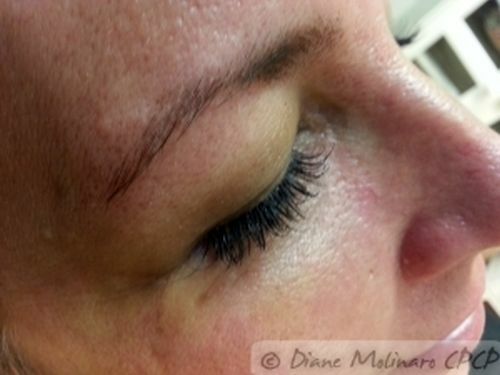 No more mascara, just gorgeous lashes! 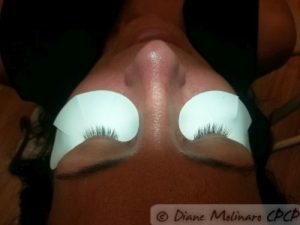 At Diane Molinaro CPCP Permanent Cosmetics, I provide the highest quality lashes and medical grade adhesives for my clients. Thorough examination is done of your lashes and a short consultation is given before your service is done to ensure you the best possible result. Please call for pricing. Thank you. 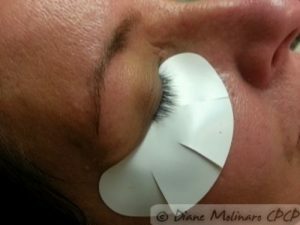 There are important things you eyelash technologist needs to take into consideration about YOUR lashes before beginning. .7mm-.16mm are available from most companies. 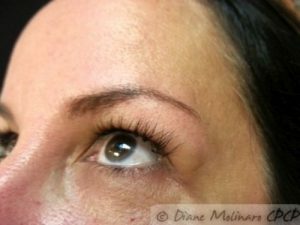 In order to insure the extensions don’t break the natural lashes, the client’s lashes are examined for length and strength. 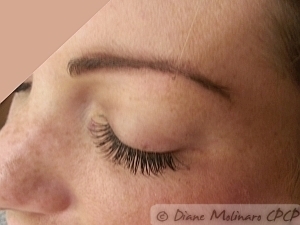 The shorter and the weaker the lashes the shorter and finer the extensions must be. 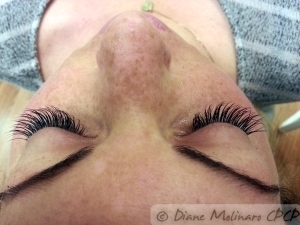 Lashes that are short and fine will call for the .15mm lashes. 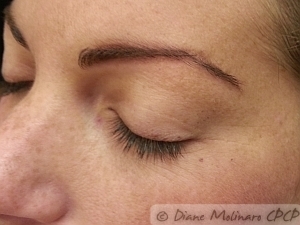 The stronger and courser the lashes will call for .18mm-.20mm lashes to be used. 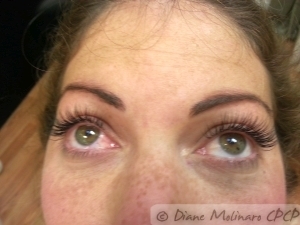 The thickest .25mm lashes may safely be used on very course natural lashes. 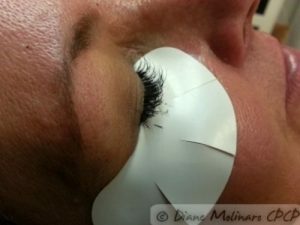 When improper selection of length and thickness of the extensions has been made, generally there will be breakage of the client’s own lashes. 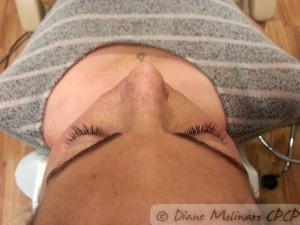 A reputable and skilled lash technician can prevent negative results by using proper length and thickness for any particular client! 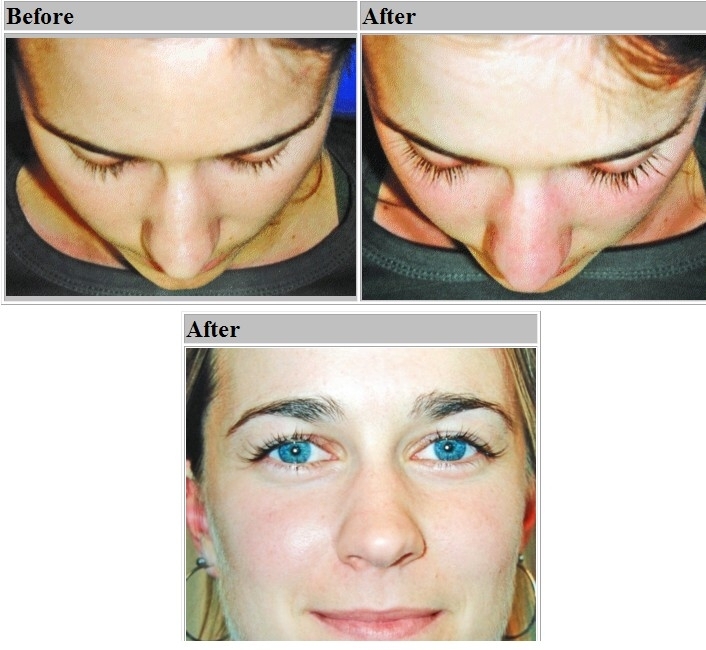 There are eyelash conditioning and growth products that help the natural lashes. 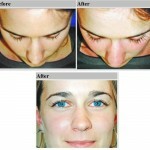 Using one of the many products out there, can insure good lashes for the extensions to be applied. The stronger and longer your own lashes are can allow for a more dramatic set of extensions in length and thickness. 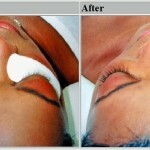 The adhesive (glue) that the lashes are secured with is very important to be of a medical grade nature. There ae MANY adhesives on the market and ALL have their own chemical makeups. Sensitivities and allergic reactions to the adhesives can be minor to more severe in some cases. IF the client is one who is highly sensitive or allergic to cosmetics, mascaras, etc., a patch test to a “Sensitive” formulated adhesive is recommended BEFORE applying a full set of extensions. If the client is “mildly” sensitive or allergic to cosmetics, mascaras, etc., a patch test for both a “Sensitive” and Regular formulated adhesive is advised BEFORE a full set is applied! Some people may react to one adhesive but be fine with another. The faster setting adhesives cause the most “fumes” as they harden and cure. A sensitive client will NOT be able to tolerate these types of adhesives! If you have sensitivities to products, make sure your technician knows BEFORE you have Extensions applied!! Reputable technicians should ask, but some may forget. Make sure to ask if the adhesive your technician is using is known to produce allergic reactions or is overall successful in end results. The technician should be happy to tell you what kind of adhesive she (he) uses and the aftercare your lashes will require. Some adhesives don’t do well with oil, once cured, so no creams and oily eye make up removers. Some you shouldn’t get wet for up to 24 hours after application. Be sure to find out what you should and shouldn’t do after application. 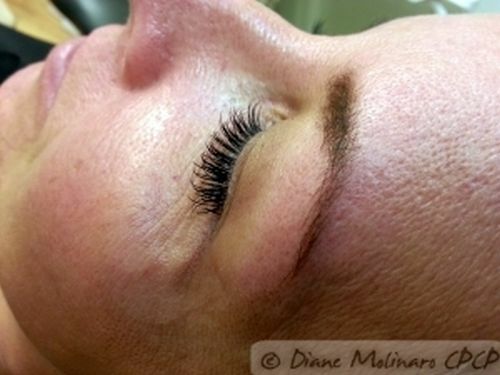 Eyelash extensions are being worn by tens of thousands of women and are overall, a safe service to obtain!! 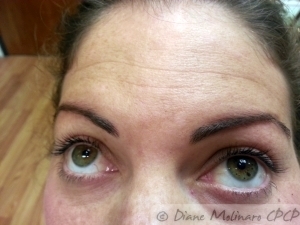 They are beautiful and should last 3-4 weeks between needing a “fill-in” or a “re-lash”. Prices vary in area of locale. 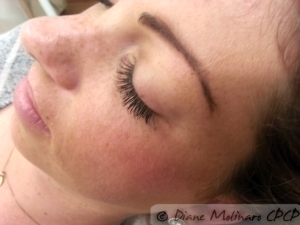 Suburb work usually reflects a higher price and longer wearing lashes. 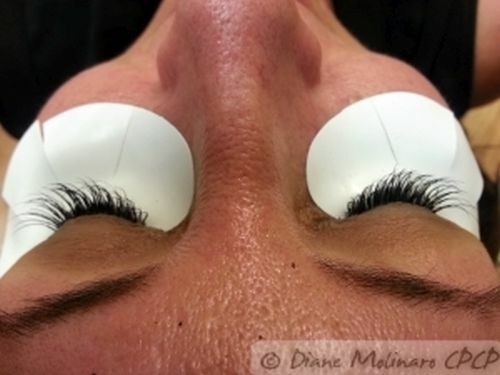 This is the latest in eyelash application. These beautiful lashes are applied one by one, without touching the skin, to your own lashes. You can throw away the mascara tube! With these extensions you simply don’t need it. 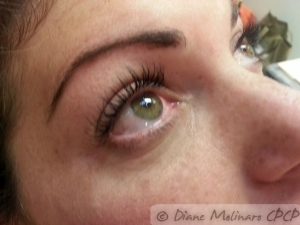 I use only the best in adhesives and lashes to give you longer, fuller worry free lashes.